Ronnie Backman is nominated by her Great-Niece, Nancy. Submission: I want to nominate my Auntie Ronnie. Over the years, my Auntie has been more like a mother to me. My mom passed away when I was young, and Ronnie never once hesitated to comfort me or lend a motherly hand. 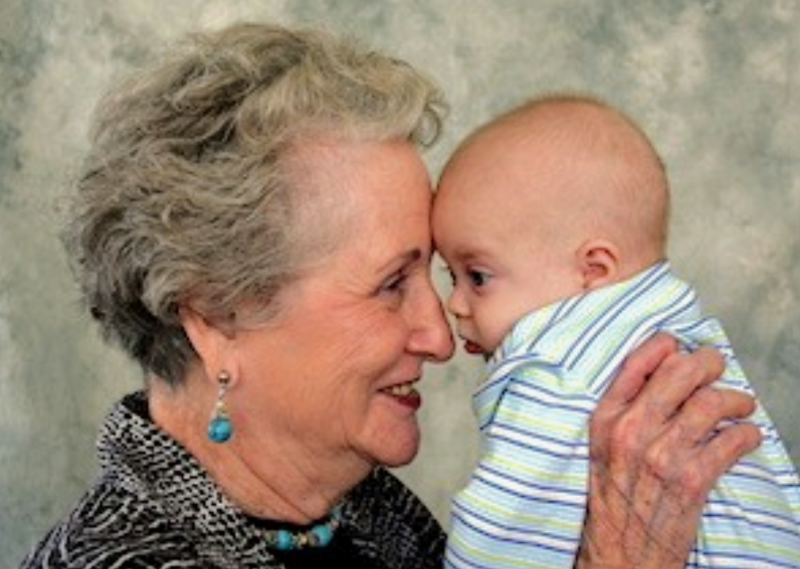 I still remember going shopping with her for my prom dress, and now she’s a grandmother to my baby boy William. I don’t know what I would have done without her, she fills my heart. I love my living legend. Harrold is nominated by his Granddaughter, Sara. 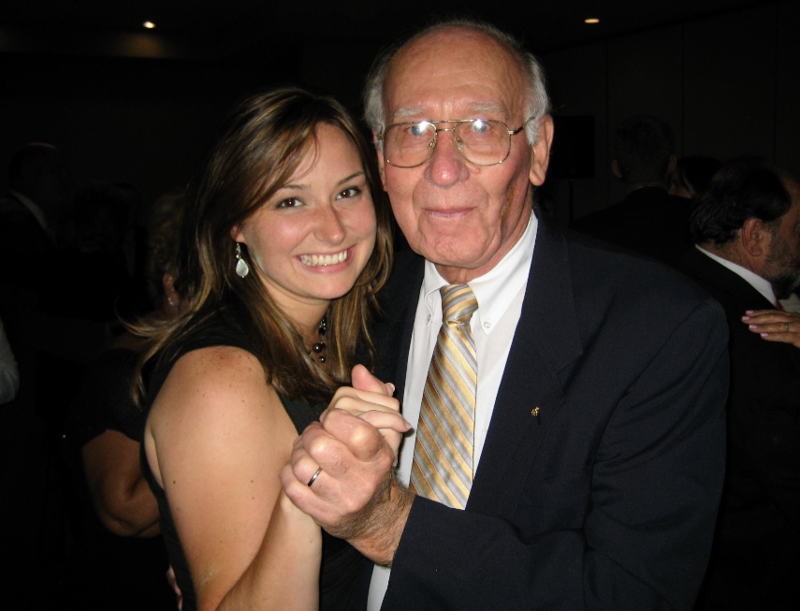 Submission: My “Poppi” is a man of values, conviction, humility, and Grace. As a Veteran, he served our country proudly. As a husband, he loved unselfishly. As an entrepreneur, he was a visionary. As a father, he leads by example. As a community member, he is giving of his time and talents. As a Grandfather and Great Grandfather, he delights in the joy of children. As an older adult, he finds purpose in every day. And as a Man of God, he is grateful. My Poppi is my “Living Legend”. Home Care Assistance, Edmond/Oklahoma City’s premier provider of in-home care for seniors, is pleased to introduce a campaign that recognizes the lifetime accomplishments of seniors. Family members and friends submit stories and photographs, which are shared publicly on HonorYourLivingLegend.com and through Home Care Assistance’s social media pages. The goal of the campaign is to give people a platform to express their admiration for aging loved ones and in doing so, remind the community that older adults should be respected for their contributions. With a mission to change the way the world ages, Home Care Assistance fosters a positive view of aging and honors each client’s lifetime legacy by providing compassionate and dignified care that enables older adults to maintain their independence at home. Candidates for Honor Your Living Legend are dynamic individuals who have given a lifetime of service and love to their communities and families. Living Legends can be publicly acclaimed or individuals who have influenced others’ lives in less high-profile ways such as a mother who taught her children to read or a well-known entrepreneur whose real passion was volunteering and helping those less privileged. For more information about Honor Your Living Legend or to submit a story, please visit www.HonorYourLivingLegend.com. Home Care Assistance is the leading provider of home care for seniors across the United States, Canada and Australia. Our mission is to change the way the world ages. We provide older adults with quality care that enables them to live happier, healthier lives at home. Our services are distinguished by the caliber of our caregivers, the responsiveness of our staff and our expertise in home care. We embrace a positive, balanced approach to aging centered on the evolving needs of older adults. For more information on Home Care Assistance of Oklahoma, visit www.homecareassistanceoklahoma.com.